Medici Chapels: book your tickets now! WHY VISIT THE MEDICI CHAPELS? The Medici Chapels are one of the most visited state museums. They are part of the monumental complex of San Lorenzo with the church of the Medici family and the Palazzo Medici Riccardi. 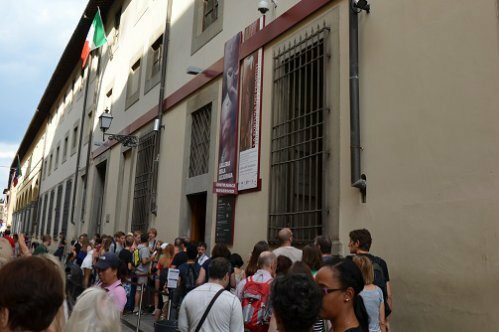 The visit of this museum gives the opportunity to see one of the works of the great artist Michelangelo who dedicated himself to the realization of the Medici Chapels until 1534 when he transferred to Rome. The model adopted was that of the Old Sacristy of San Lorenzo, a square-shaped environment with a hemispheric dome. During the second half of 1600 the Grand Dukes decided to beautify the Chapel of the Princes by covering it with granites, marbles and many precious stones with various colors, thus founding, in order to carry out the work, the Workshop of the Hard Stone and leaving us an inheritance work of extraordinary beauty. The crypt, on the other hand, is an octagonal floor covered with a ribbed vault.  Here we can visit some of the sacred objects that belonged to the family as those exhibited in the Museo degli Argenti (Silver Museum) or in the Basilica of San Lorenzo. The chapels of the Medici are attached to the church of San Lorenzo, which was the church of the Medici family while they lived in what is now the Palazzo Medici-Riccardi. Cardinal Julio de Medici, who later became Pope Clement VII, wanted to build the Medici Chapels to have a suitable place for a worthy burial of the family members. This happened in the same period when Michelangelo was working in the new sacristy in 1520. The entire building was completed in 1524. WHAT ARE THE MEDICI CHAPELS NOWADAYS? The Medici Chapels are today a museum where you can visit the funerary monuments of the tombs of a large part of the Medici family. The museum was built in the back of the Basilica of San Lorenzo and precisely in the extension of the apse. This part created by Michelangelo in the first decades of the 1500 took the name of Sagrestia Nuova (New Sacristy), while the remaining visitable part of the museum is the majestic Chapel of the Princes completely covered with marble and precious stones. In the crypt are the tombs of the Grand Duke of Tuscany and his family and from here you can go upstairs to the Chapel of the Princes. For the realization of the beautiful decoration of the Chapel was created the workshop of hard stones. 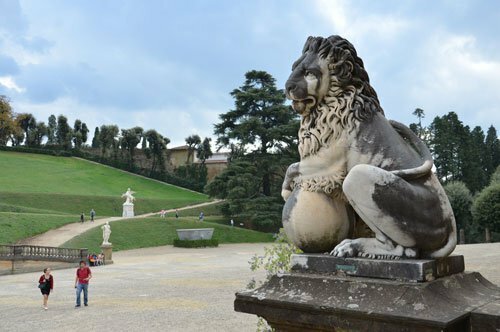 Did you know that in recent years, scholars have analyzed the remains of the Medici family to solve some mysteries related to the family? For example it was analyzed the body of a newborn baby who was perhaps the illegitimate child of a family member. Did you know that the San Lorenzo dome is the second largest dome in Florence after Brunelleschi's Duomo in Florence and reaches a height of almost sixty meters? Did you know that the statues sculpted by Michelangelo for the funerary monuments of Giuliano and Lorenzo de Medici are directed towards the center of the chapel where the "Virgin with Jesus in his lap" by Michelangelo was placed? The fact that the two statutes are directed towards the sacred image seeks to express the relationship between Michelangelo and the church and his belief in spirituality and religion as a relief after the earthly life of men. 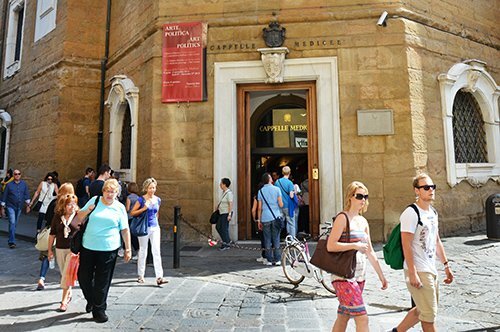 HOW TO VISIT THE MEDICI CHAPELS? It is possible to visit the Medici Chapels by booking the priority entry online. 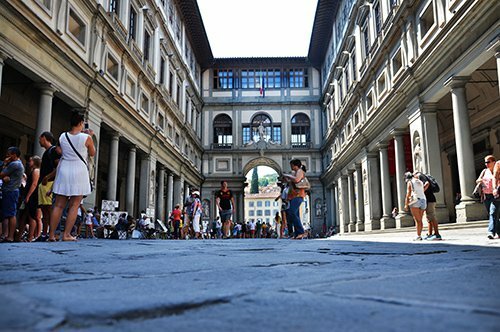 With the help of the map of Florence, visit a city where the best artists of the time have left a mark that will remain in your memories. 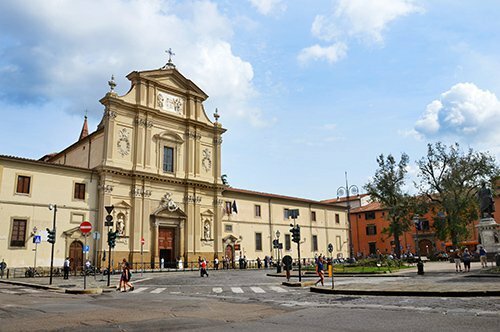 In addition to the Medici Chapels, the Basilica of San Lorenzo and the Medici Riccardi Palace are part of the Medici district. In the vicinity of the Medici district, you can visit the Piazza San Marco (St. Mark Square) and see the San Marco Museum and the Accademia Gallery that showcases Michelangelo's David. 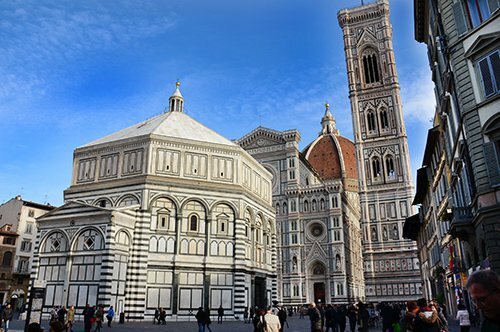 A few steps you will also find the Archaeological Museum, or you can go to the Piazza del Duomo, where you can admire the Cathedral of Florence, the Campanile of Giotto and the Baptistery of Saint John, which is the backdrop of a part of the novel Inferno by Dan Brown. 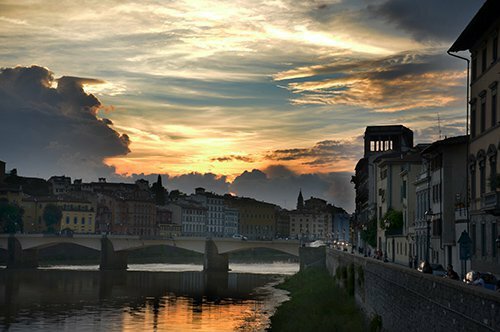 Strolling through the center of the city and crossing the Ponte Vecchio you will arrive in front of the majestic Palazzo Pitti, which was the residence of the Grand Duke and the royal family, and which today houses the Palatine Gallery and the Modern Art Gallery overlooking the splendid Boboli Gardens. 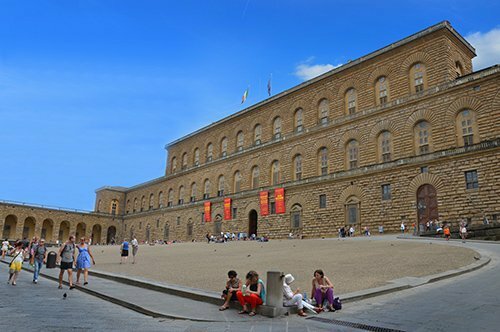 Palazzo Pitti is connected to the Palazzo Vecchio through the Vasari Corridor, which over time has become a beautiful tour that starts from the Uffizi Gallery. 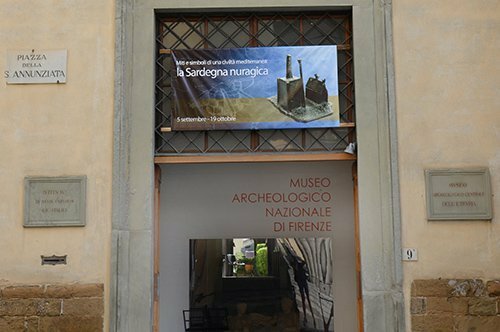 Near the door of San Niccolò is the Bardini Museum and if you want to admire Florence from the top, the Piazzale Michelangelo is what you are looking for, here you will find a copy of the statue of David and you can enjoy an ice cream and relax on the panoramic benches. 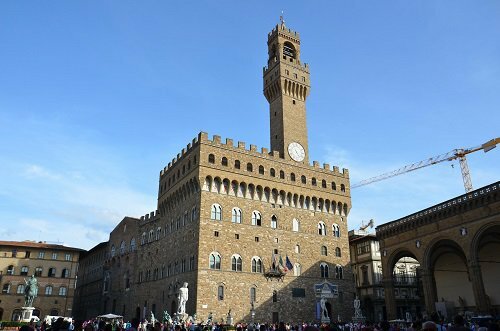 In addition to the Piazzale dedicated to Michelangelo, visit Casa Buonarroti in the center of Florence and the Bargello Museum, where his first sculptures can be found. 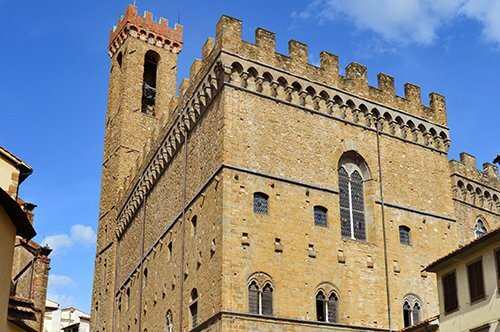 If you want to experience other experiences outside of Florence, the village of San Gimignano, the village of Leonardo da Vinci, the Leaning Tower of Pisa or the historic center of Lucca with its ramparts are definitely a must see.